Our blog entry on the Systems Approach has shown that even though we’re taught to think lineally, our thoughts can jump from one idea to another and our mind is constantly making associations from one word to another. This is why we need concepts and tools that help us bring order into the chaos of our minds. One of these tools are mind maps. The concept or technique of visualizing ideas radially is not new, people have been using it for centuries. 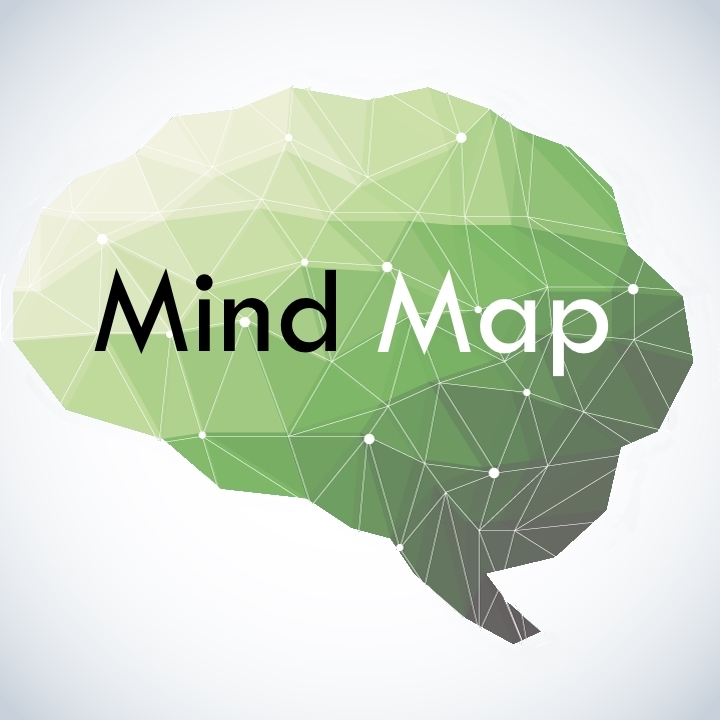 The term ‘mind map’, however, is relatively new. Tony Buzan, a popular British psychology author and TV personality, coined the term and popularized it in the 1970s. 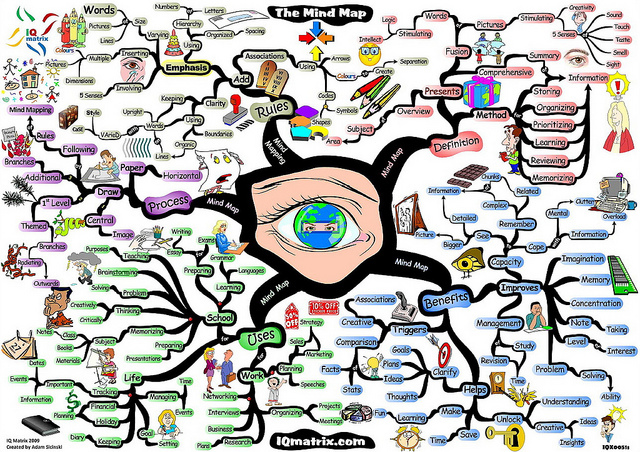 A mind map is essentially a diagram with a central node in the middle that represents an idea or concept. This central idea then has different related branches or nodes built around it. Many probably associate mind maps with brainstorming and it is true, this method is extremely helpful if you need to come up with creative ideas. But a mind map is more than just a note taking tool, it can also be used to find solutions to difficult problems and to break down complex issues into manageable parts. You can use pen and paper to draw a map, or use a simple program such as Microsoft Word, or if that is not enough for your needs, there are many mind mapping programs or project management applications that offer mind mapping features. Start with deciding on a main concept. You should use an image or a word that represents this idea. In the above example that is ‘Agile’. 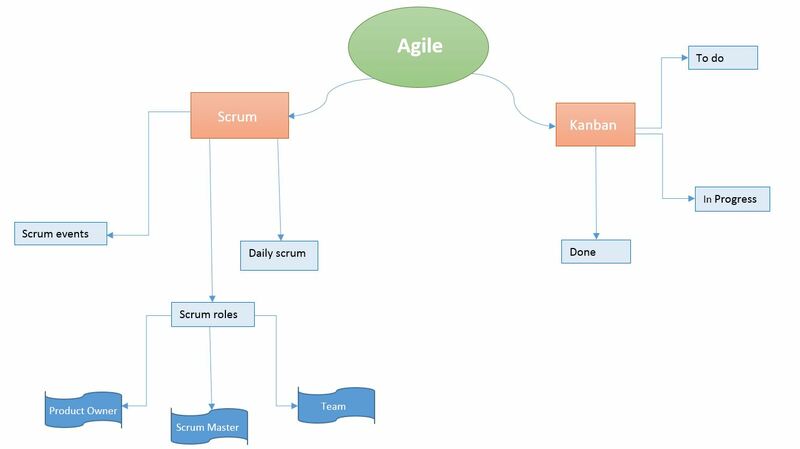 Create sub-branches that are attached to your main concept and which go further into the topic (‘Scrum’ and ‘Kanban’). These sub-branches in turn can also have sub branches arising out of them which go even deeper into detail. Use different colors, forms or even pictures to highlight and differentiate. 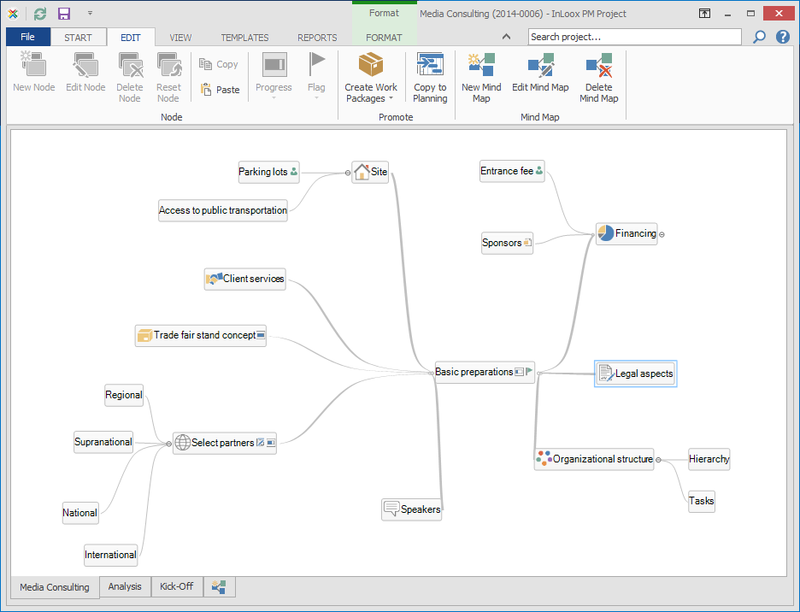 You can create a mind map in one go (i.e. one meeting or brainstorming session), but that doesn’t mean that the map is cut in stone. Depending on the problem or project it’s actually advisable to continually update your mind map. And in the end your mind map might look like the one below. Mind maps are particularly beneficial for creative or brainstorming sessions. Unlike Gantt charts, where you have to consider constraints which limit you in what you can do with it, you have much more (creative) freedom with mind maps. Because of that, mind maps help you think out of the box and facilitate creative thinking and problem solving. It also helps you develop an ability to focus and capture the most important and relevant information (for example, when taking notes). If you’re stuck on a problem, a mind map can also provide clarity and maybe a fresh outlook on it. So how can project managers make use of mind maps? It’s exactly the above-mentioned benefit of mind maps that make them an asset for PMs. The job of a PM is not easy. Because there are so many variables and stakeholders involved, the problems they and their team face usually are complex. Mind maps can help reduce the complexity, find the root cause of the problem and help you come up with solutions. As a result, your project processes will be more efficient. Team leaders can use mind maps to document everything the team has discussed in meetings. A visual accompaniment can serve as a trigger for creative ideas and problem solving. It also helps your team get an overview of the most important topics of that meeting and they will remember it more easily. Mind Mapping – Map out Your Projects - InLoox • Copyright 1999-2019 © InLoox, Inc. All rights reserved.